HTC is quietly brilliant we know that and that they are bringing the brand awareness up close an personal with its customers, but if new reports that are coming in about the HTC M7 are true then we are a little confused about a name change. 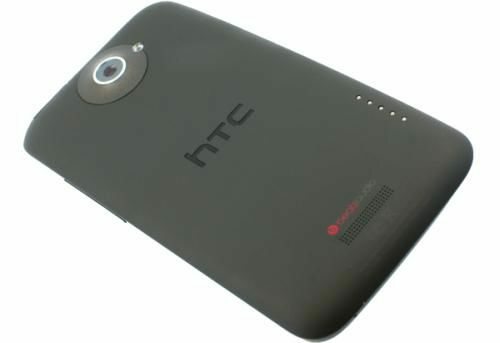 It may be possible that the HTC M7 and we like this name will simply be named the HTC One when released to the public. Is this really the case that the HTC M7 will have a name change to HTC One? Ok, so HTC wishes to set in place a simplified naming format, but surely they could have come up with a better name that HTC One. Some may like this name change but in the back of our minds it is boring, nothing out of the ordinary. HTC already have the HTC One series that includes the low-end phone called the HTC One V, other names include the likes of One S the One X, XL, and the HTC One X+, so to simply have the HTC M7 as the HTC One does not sound so nice and even less sexier than the other variants such as the V, S, X, XL and X+, all they will be doing in knocking off the letters at the end and giving us a name that sounds lower-end that the V model, we might be wrong in our thinking and that is why we are calling out to our readers. Do you prefer the name HTC M7 or do you prefer the sound of the simplified HTC One name? Please do comment below and let us know what name you would prefer, if you have another name you would like to call the next HTC smartphone please do let us know, always open to new names here. Maybe @evleaks has this totally wrong so we are taking this as hearsay until HTC makes an official announcement on February 19, this smartphone may make an appearance at the HTC Alive Event on this date. I definitely prefer HTC One! Please re-read what you write. It needs to be more than a stream of consciousness draft. This site is a valuable resource and needs to be written as such.